VANCOUVER, B.C – Please visit Equalizer Soccer for Three Things Learned from Canada’s win over Australia. VANCOUVER, B.C – Please visit Equalizer Soccer for my story on Sydney Leroux and Dom Dwyer. VANCOUVER, B.C – Please visit Equalizer Soccer for my story on the Vancouver Whitecaps FC organization not having any immediate plans to bring an NWSL team to Vancouver. Vancouver, B.C – Please visit Equalizer Soccer for my story on the 2015 FIFA Women’s World Cup Closing Press Conference and the many topics discussed concerning the tournament. 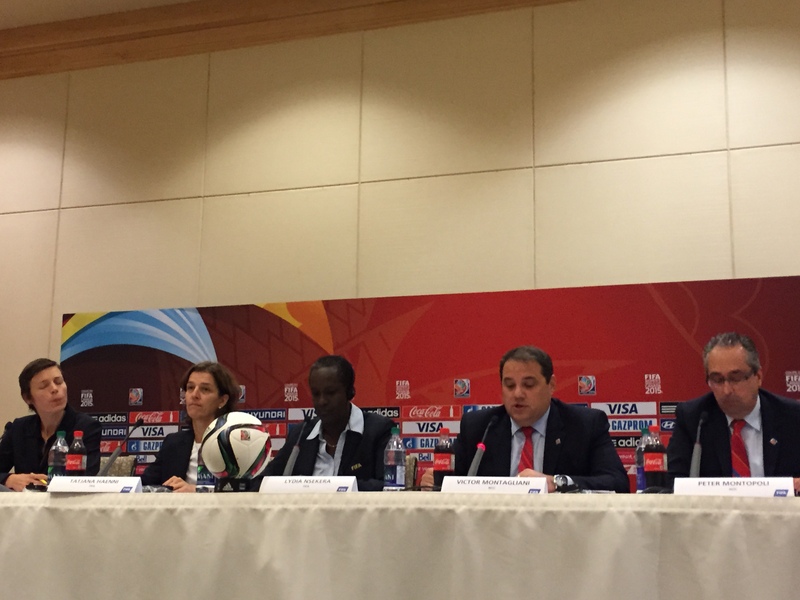 FIFA Women’s World Cup closing Press Conference in Vancouver, B.C. Vancouver, B.C – Please visit Equalizer Soccer for my story on the continuing development of Female Referees at a World Cup level as Women’s Football continues make progressive growth and strides. 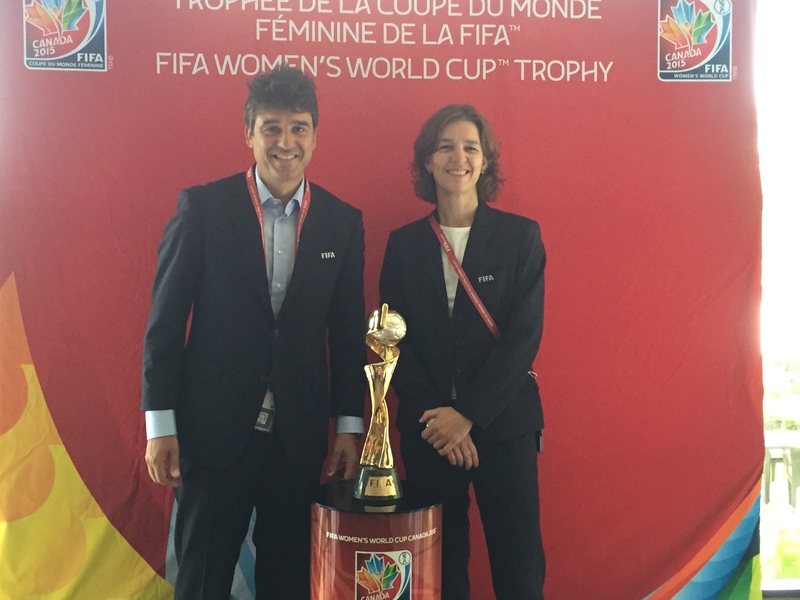 Massimo Busacca, FIFA’s Head of Refereeing and Tatjana Haenni, FIFA Deputy Director of Competitions and Head of Women’s Football in Vancouver, on June 29. Vancouver, B.C – Please visit Equalizer Soccer for my interview with Fox Sports analyst Heather Mitts. Vancouver B.C – Please visit Equalizer Soccer for my story on the Moscato vs Latham faux pas. 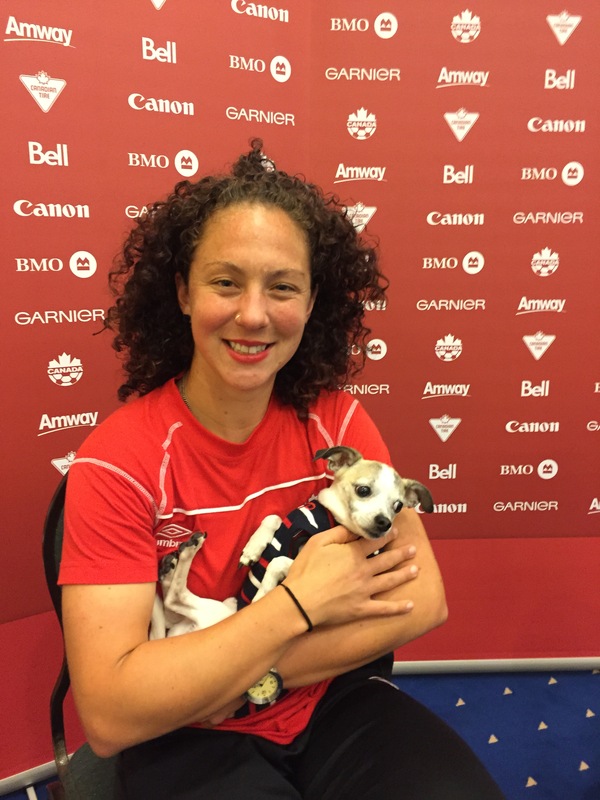 Carmelina Moscato of Team Canada.